Since the 1940’s the Mt. 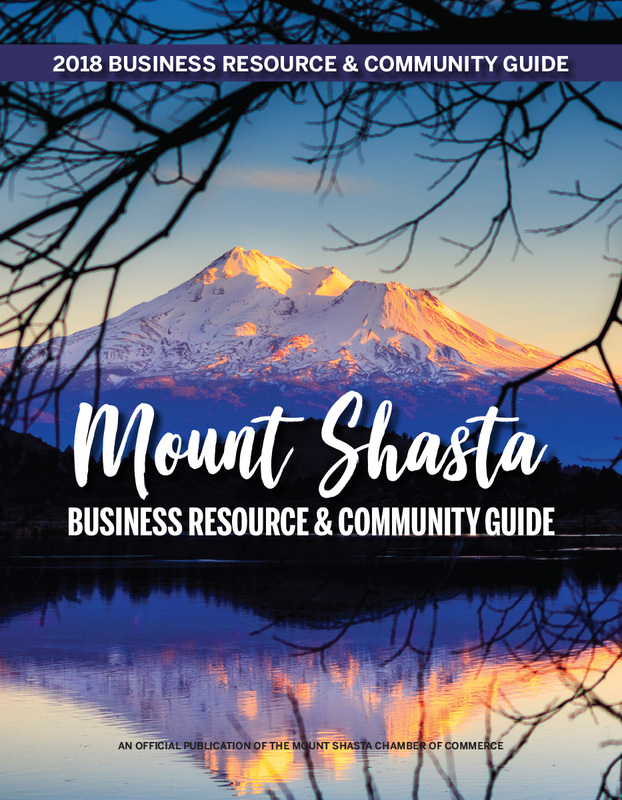 Shasta Chamber of Commerce has been the voice of business for the Mt. Shasta area. Through the Chamber, local professionals and businesses work together to identify, define and find solutions for community issues. The core industry and economic generator in Mt. Shasta is tourism. Tourism affects every business in Mt. Shasta, directly and indirectly. The Chamber’s Visitors Bureau is the leading marketing organization responsible for generating tourism in order to enhance the vitality of our economy. Our Visitor’s Pavilion has almost 26,000 visitors per year requesting information, with another 68,000 visitors online. Mt. Shasta is a city of great economic, social, recreational and spiritual diversity where residents find both creative and traditional means to achieve success. The community was built on the strong pioneering spirit of folks who came for the natural beauty and the opportunity to grow success in a sparsely populated area. Much remains the same today. Newcomers join beside natives who can trace their family back several generations in spinning the fabric of Mt. Shasta. Large sources of employment in the area are complimented by a wealth of small businesses that occupy downtown shops, out-of-the-way warehouses and tucked away offices. Mail-order businesses, internet-based companies and Mt. Shasta’s extensive spiritual community stimulate the local economy and create diversity. The chamber strives to support that economic diversity as the city grows and new businesses come to the area. Through diversity we are building a strong foundation for our future where a high quality of life and conservation of this beautiful area are cornerstones of the community. There is an abundance of local resources for business and employers in Mt. Shasta. Siskiyou County provides services in career assessment, testing and counseling, on-the-job training, financing assistance, business development, self-employment training, and job-seeking and placement assistance. An online source for California and U.S. Statistics by subscription. The reference desk of your local library may be able to access it for you. Interstate 5, the major artery through central Siskiyou County connects the rural towns to California’s major freeway.